If you’re struggling to hit your 5000-mile target, take some inspiration from British duo Matt Bishop and Reece Gilkes. The pair, both #ride5000miles members, are currently 22,000 miles and 10 months into riding a scooter and sidecar around the world. "We’re halfway around now and have been through 26 countries, which is further than we thought we would get," Matt told MCN from America. "Before this trip neither of us had really ridden a motorcycle so it has been a huge adventure and took 18 months of planning." Why a scooter and sidecar? "Riding a normal bike around the world has been done loads," explained Matt. "We wanted to be different. We bought a Honda SH300 and then a bloke in a shed made us a sidecar and off we went." 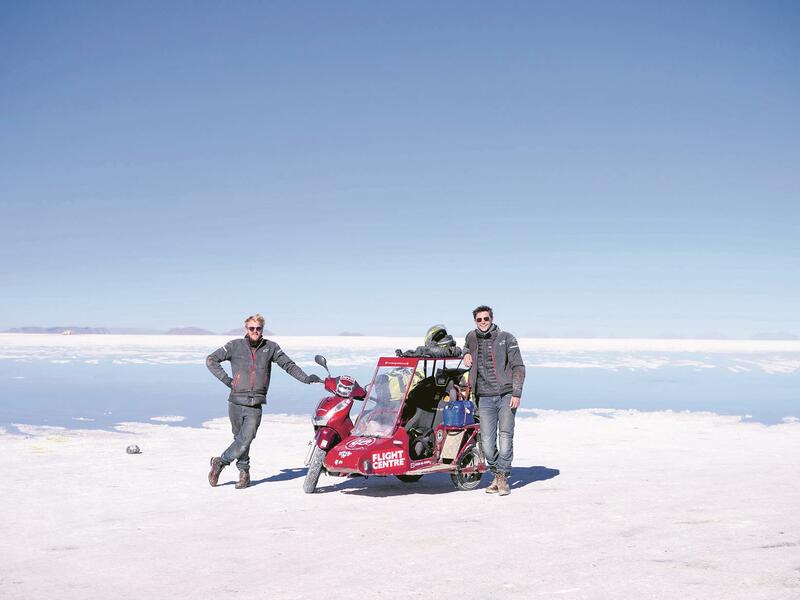 As you would imagine, the trip has already been quite eventful as the pair have ridden through Europe and Africa before shipping the bike to South America and riding their way up to Texas. "We think the bike rides well, but it has been hammered and fixed by us and the handling has certainly deteriorated as the miles have racked up, but you just get used to it," laughed Matt. "We have been through four clutches so far, the most memorable breakdown was in Ethiopia when one failed in the middle of a carnival." 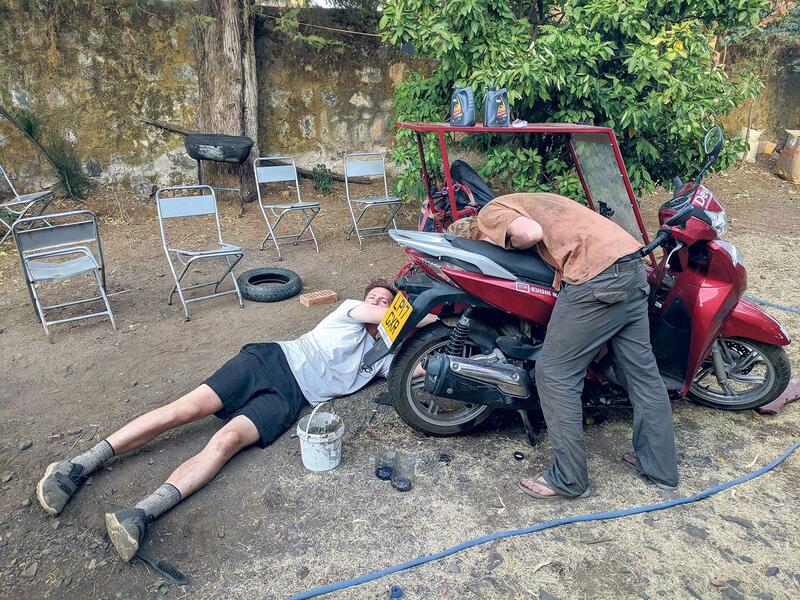 As well as a fantastic adventure, the pair are also using the trip to increase awareness about modern slavery and are visiting charities and raising money while en-route, not to mention setting a few Guinness World Records. 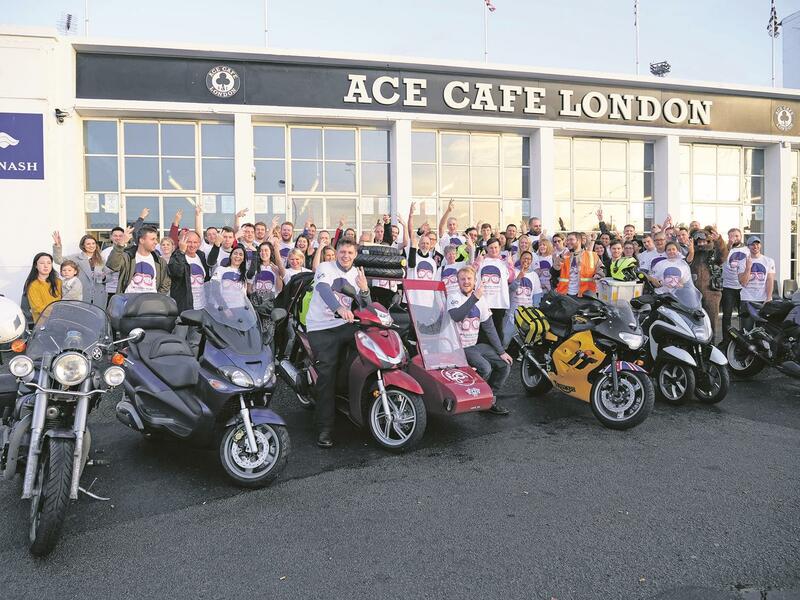 "There is a record for distance ridden on a scooter fitted with a sidecar, which is 5000 miles so we’ve already smashed that one," added Matt. "And no-one has circumnavigated the world on one before, so if we finish that’s two records at least." And the two adventurers have some simple advice for fellow members looking at taking on a big trip. "Don’t plan, just do it! The fun is winging it and seeing where you end up," said Matt. "Don’t give up, just give it a shot and don’t be afraid to ask for help as people are always friendly." The pair have 18,000 more miles to go through Alaska and then Asia and Europe and are aiming to finish at the Ace Café in seven months time. You can follow their progress and leave a donation at asseenfromthesidecar.org.